Like James Joyce’s Ulysses, Virginia Woolf’s Mrs Dalloway (1925) is a novel set on a single day in a city in the middle of June. Woolf, who was re-reading Ulysses when she began to write her own book, chose 13 June 1923, in London; Joyce had selected 16 June 1904, in Dublin. But in making her central figure an upper-class middle-aged woman, married to a Conservative MP, Woolf staked out her own fictional ground. Unlike Joyce’s characters, Clarissa Dalloway is not mythologised, and the stages of her day are not compared to a classical epic. Indeed, by emphasising her heroine’s marital status in the title, Woolf draws our attention to the way Mrs Dalloway is an ordinary woman of her time, defined in terms of her husband, her identity submerged in his, even her first name erased by her social signature. Clarissa begins her day shopping for flowers for her party that evening, and thinking ‘What a lark!’ It’s easy to see her as superficial and slight. 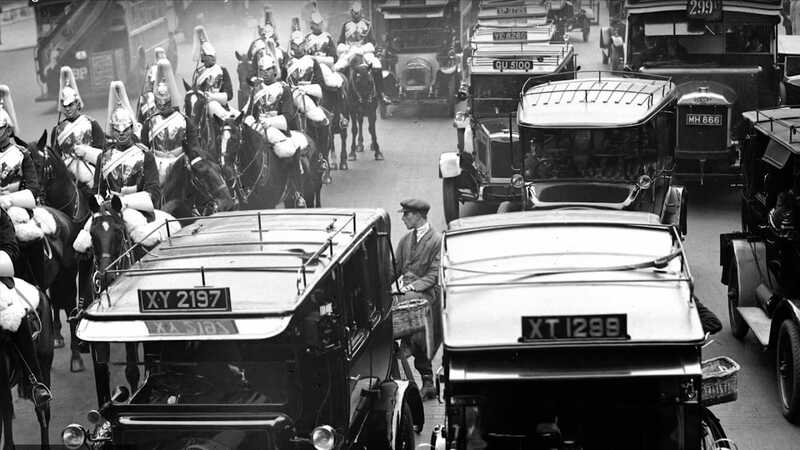 Yet following her thoughts, memories, anxieties and epiphanies from morning to night on the day when she is preparing to give a large party, and entering the minds of the people she passes or meets, we see a broad and deep cross section of London, five years after the Armistice. ‘Mrs Dalloway said she would buy the flowers herself’: The opening page from a manuscript draft of Mrs Dalloway, 1924. 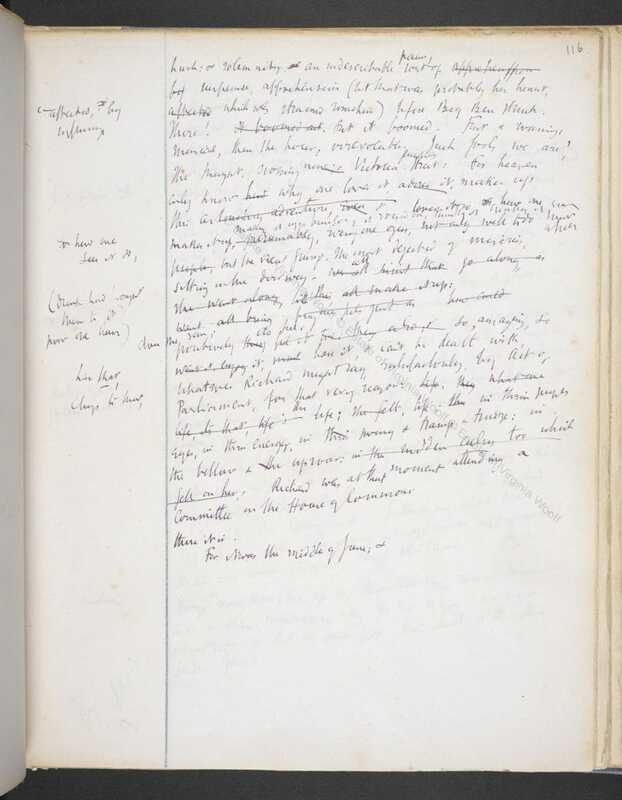 Title：Notebook drafts of Virginia Woolf's Mrs Dalloway (Volume II) Author/Creator：Virginia Woolf Held by：British Library Shelfmark：Add MS 5145 f.114r Copyright：© The Society of Authors as the Literary Representative of the Estate of Virginia Woolf. You may not use the material for commercial purposes. Please credit the copyright holder when reusing this work. 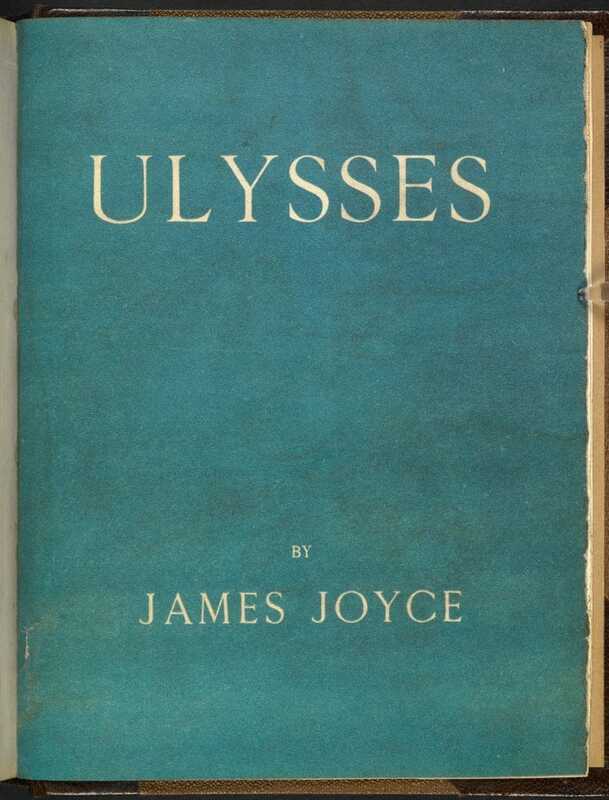 Serialised 1918–20 and published by Shakespeare and Company in 1922, James Joyce’s Ulysses, like Mrs Dalloway, is set on a single day in June. Woolf used Clarissa to explore the personal impact of cultural change, from the new technologies of automobiles, airplanes and movies, to the new openness of marital and sexual relationships and the beginnings of political upheaval. 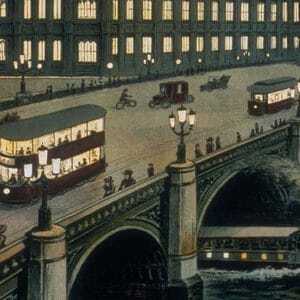 In planning the novel, Woolf had wished ‘to criticise the social system, and to show it at work, at its most intense’. Five years have passed since the Armistice, and Peter Walsh, returning for the first time since the war, is struck by the changes: ‘People looked different. Newspapers seemed different.’ There are major changes in English society as well. Alex Zwerdling has argued that indeed Mrs Dalloway is a ‘sharply critical’ examination of the ‘governing class’ at the turning-point of its power. In 1923, there were two Conservative prime ministers – Bonar Law, who resigned because of ill health, and Stanley Baldwin, who succeeded him in May – but in January 1924 the party was voted out, and Ramsay MacDonald would become the first Labour prime minister. Clarissa’s class ‘is living on borrowed time. Its values … are under attack … the empire was crumbling fast’. Woolf also wanted to connect the class system and the gender system, linking the subordination of the working class to the subordination of women. 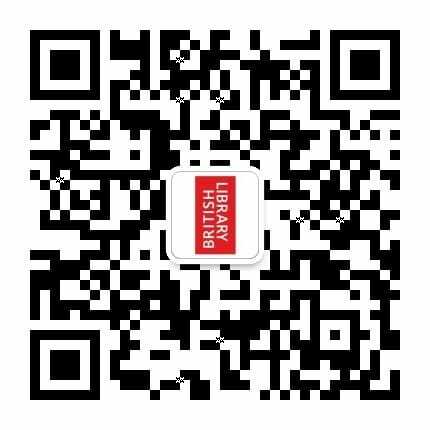 In a famous essay called ‘Mr Bennett and Mrs Brown’ (1924), she argued that since 1920, ‘all human relations have shifted – those between masters and servants, husbands and wives, parents and children. And when human relations change, there is at the same time a change in religion, conduct, politics, and literature.’  Neither character nor these relationships, she maintained, could be sufficiently represented by the literary conventions of the Edwardians, such as reliance on material evidence and external fact. 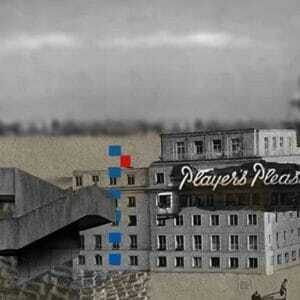 ‘For us,’ she dramatically asserts, ‘those conventions are ruin, those tools are death’. ‘All human relations have shifted’: From Virginia Woolf’s essay ‘Mr. 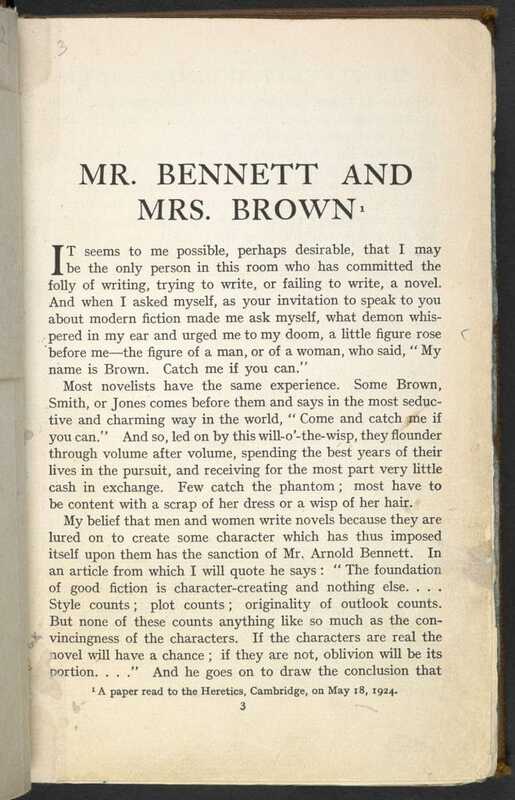 Bennet and Mrs. Brown’, 1924. Title：Mr. 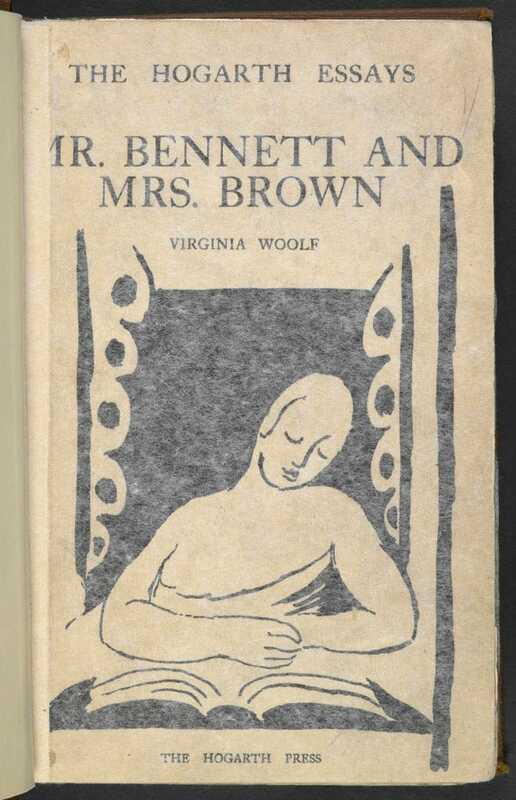 Bennett and Mrs. Brown' by Virginia Woolf Author/Creator： Virginia Woolf Held by：British Library Shelfmark：012359.b.4/1. Copyright：Virginia Woolf: © The Society of Authors as the Literary Representative of the Estate of Virginia Woolf. You may not use the material for commercial purposes. Please credit the copyright holder when reusing this work. Vanessa Bell: © Estate of Vanessa Bell, courtesy of Henrietta Garnett. Except as otherwise permitted by your national copyright laws this material may not be copied or distributed further. Title：Mr. Bennett and Mrs. Brown' by Virginia Woolf Author/Creator：Virginia Woolf Held by：British Library Shelfmark：012359.b.4/1. Copyright：Virginia Woolf: © The Society of Authors as the Literary Representative of the Estate of Virginia Woolf. You may not use the material for commercial purposes. Please credit the copyright holder when reusing this work. Vanessa Bell: © Estate of Vanessa Bell, courtesy of Henrietta Garnett. Except as otherwise permitted by your national copyright laws this material may not be copied or distributed further. The method she used, the representation of the stream of consciousness, reflected her need to go beyond the clumsiness of the factual realism in the novels of her Edwardian precursors, such as Wells, Bennett and Galsworthy, and find a more sensitive, artistic and profound way to represent character, an effort shared with her contemporaries D H Lawrence, Dorothy Richardson, Katherine Mansfield and Marcel Proust. In the 1920s, psychoanalysis was uncovering a multi-layered self in which dreams, memories and fantasies were as important as actions and thought. (The Hogarth Press, run by Virginia and her husband Leonard Woolf, began to publish an English translation of Freud in 1921.) Philosophers were describing the self as the receiver of a tumult of sensations. Cubist artists combined multiple perspectives on their subjects to add an extra dimension to each of their paintings. Woolf believed that the omniscient narrator of the 19th-century novel had to be replaced by a narration from multiple perspectives as well; many points of view and many voices should be included. She was intrigued by the new medium of film, and her narrative technique is very cinematic, including flashbacks, montage, rapid cuts and panning between various characters as they respond to an external event, such as the aeroplane overhead. (The novel is historically accurate in its references; the first skywriter appeared in London in August 1922.) Woolf tunnelled into the memories and associations of each character to give them depth, and to bring the past into a single-day novel. 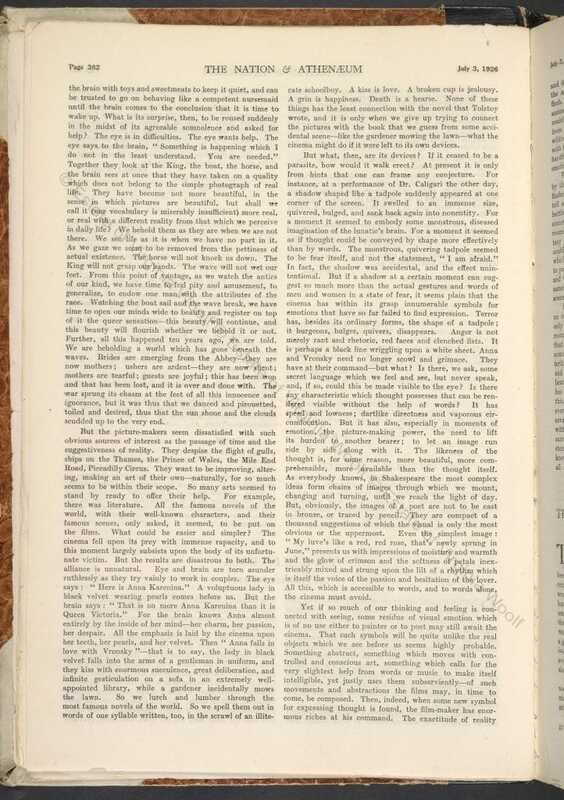 Virginia Woolf’s concept of the stream of consciousness technique can be traced back as early as 1908, when she wrote in her travel notebook: ‘I achieve a symmetry by means of infinite discords; showing all the traces of the mind’s passage through the world; achieve in the end，some kind of whole made of shivering fragments’. 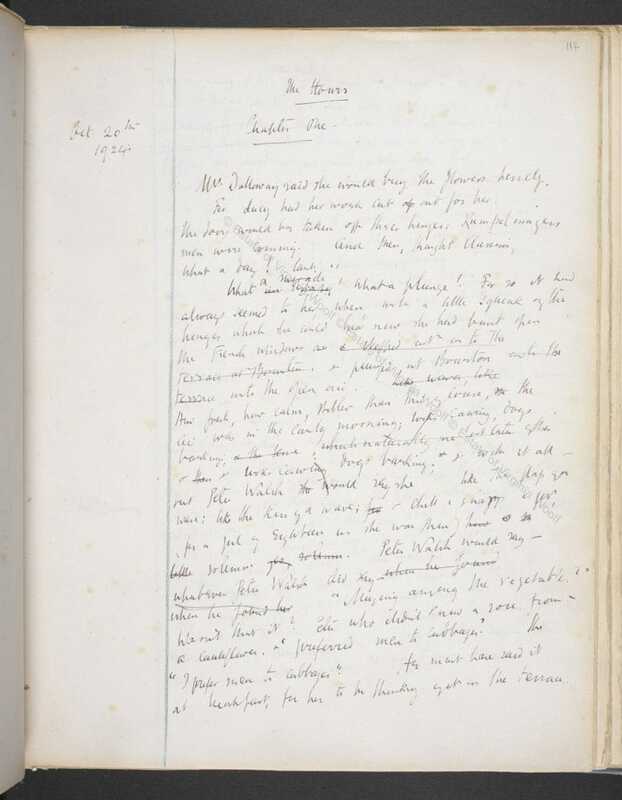 Title：Virginia Woolf's travel and literary notebook，1906–09 Author/Creator：Virginia Woolf Held by：British Library Shelfmark：Add 61837 f114r Copyright：© The Society of Authors as the Literary Representative of the Estate of Virginia Woolf. You may not use the material for commercial purposes. Please credit the copyright holder when reusing this work. Cubist works of art strongly featured at the Second Post-Impressionist Exhibition of 1912, organised by Virginia Woolf’s friends Roger Fry, Clive Bell and Duncan Grant. 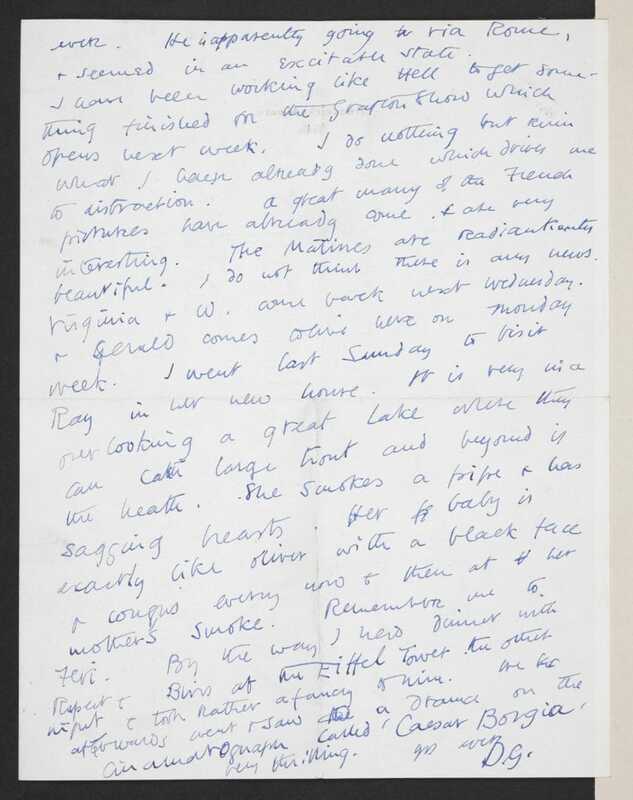 Title：Letter from Duncan Grant to J M Keynes about the Second Post-Impressionist Exhibition, 1912 Author/Creator：Duncan Grant Held by：British Library Shelfmark：Add MS 58120 B Copyright：Duncan Grant: © Estate of Duncan Grant. All rights reserved, DACS 2106. Except as otherwise permitted by your national copyright laws this material may not be copied or distributed further. Unknown photographer (pre-1906): This material is in the Public Domain. Virginia Woolf’s essay on cinema and the new medium of film, 1926. 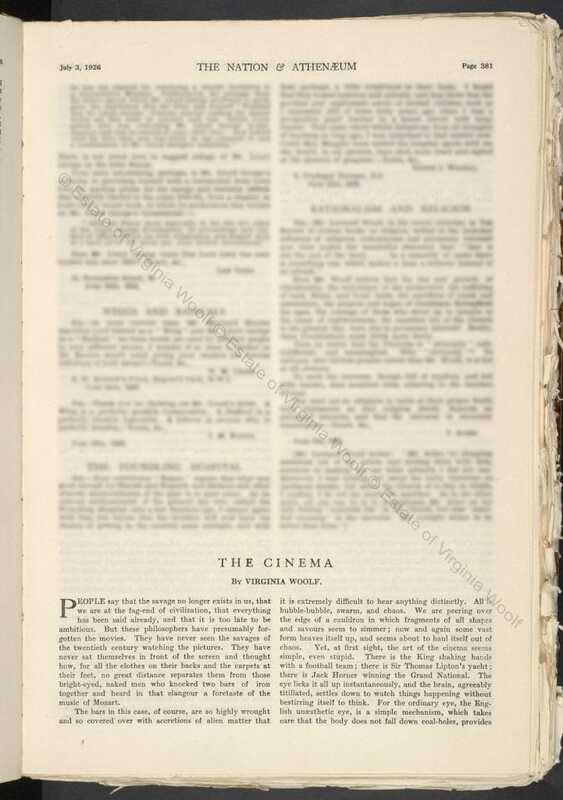 Title：'The Cinema' by Virginia Woolf，from The Nation and Athenaeum Author/Creator：Virginia Woolf Held by：British Library Shelfmark：LOU.LD57 Copyright：© The Society of Authors as the Literary Representative of the Estate of Virginia Woolf. You may not use the material for commercial purposes. Please credit the copyright holder when reusing this work. 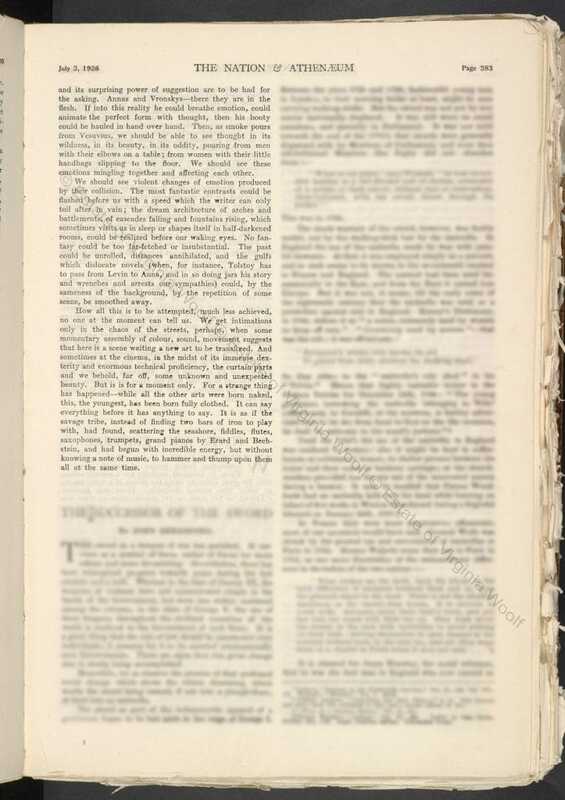 Title：The Cinema' by Virginia Woolf，from The Nation and Athenaeum Author/Creator：Virginia Woolf Held by：British Library Shelfmark：LOU.LD57 Copyright：© The Society of Authors as the Literary Representative of the Estate of Virginia Woolf. You may not use the material for commercial purposes. Please credit the copyright holder when reusing this work. ‘There! Out it boomed. First a warning, musical; then the hour, irrevocable’: Big Ben strikes the narrative, from the manuscript draft of Mrs Dalloway, 1924. 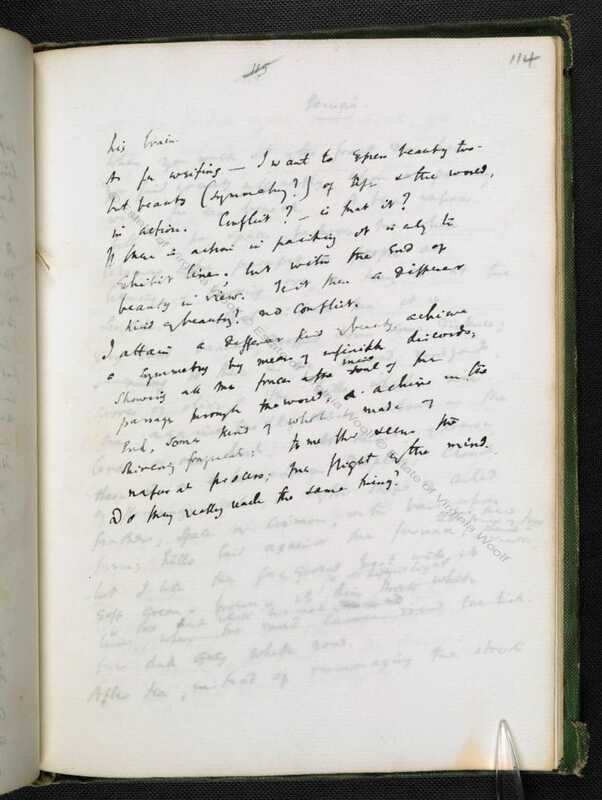 Title：Notebook drafts of Virginia Woolf's Mrs Dalloway (Volume II) Author/Creator：Virginia Woolf Held by：British Library Shelfmark：Add MS 51045 f116r Copyright：© The Society of Authors as the Literary Representative of the Estate of Virginia Woolf. You may not use the material for commercial purposes. Please credit the copyright holder when reusing this work. Although it is never directly stated in the novel, Clarissa, at the age of 52, has gone through menopause, and she has internalised the medical attitudes which saw the change of life as a hopeless process of decline. Having lost her youthful beauty, and lacking an occupation or an independent social role, she fears that the drama of her life has ended. Climbing the stairs to her room for a midday nap, she feels that she is taking the first steps towards the grave: ‘There was an emptiness about the heart of life; an attic room. Women must put off their rich apparel. At midday they must disrobe… Narrower and narrower her bed would be.’ In midlife, Clarissa thinks she must divest herself of her sexuality, give up her physical self, and adjust to solitude, loneliness and the inevitable shrinking of her social space and opportunities. The attic room and the narrow bed are symbols of death. 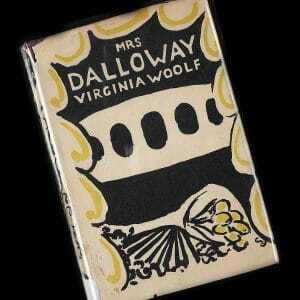 Mrs Dalloway deals with people’s ability to cope with change – ageing, class mobility, war and peace, the ‘change of life’. Woolf contrasts Clarissa’s crisis with the despair of Septimus Warren Smith, a young veteran suffering from mental disturbances. His day is juxtaposed to hers, and his paranoid suspicions, vivid hallucinations and distorted perceptions are in sharp contrast to her orderly ones. In her early notes for the novel, Woolf imagined Septimus as a crazed terrorist plotting to avenge the generation of young men slaughtered and damaged in the Great War by assassinating the prime minister. Draft by draft, however, she turned him into a victim of ‘shell shock’, or post-traumatic stress disorder. Emotionally numbed by the war, grieving the death of his dearest friend Evans, angry at the society that seems to collude with destruction, guilt-ridden at his inability to care for his wife, Septimus becomes vulnerable to a psychotic break much worse than the neurotic symptoms caused by the traumas of combat. The extremity of his illness reflects the conditions of his society, one in which the emotional after-effects of the war have been evaded, self-control is worshipped and feelings have been suppressed. Woolf drew on her own experience of madness to present his delusions, and to condemn the obtuse, even brutal doctors Holmes and Bradshaw, who fail to understand his terror, and attempt to have him committed to a clinic for a rest cure. The war seems to have left the ‘governing classes’ curiously untouched. They continue in their routines of civilised luncheons, letters to The Times, Academy paintings of sunsets and cows, and professional management. To escape them all, Septimus commits suicide by leaping from a window. Scene depicting Mrs Dalloway after hearing of Septimus’ death, from the manuscript draft of Mrs Dalloway, 1924. 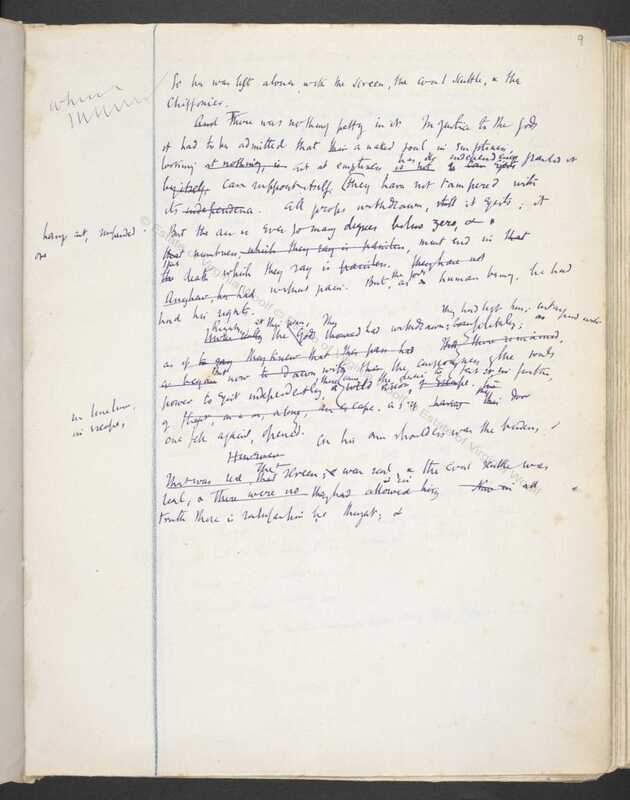 Title：Notebook drafts of Virginia Woolf's Mrs Dalloway (Volume II) Author/Creator：Virginia Woolf Held by：British Library Shelfmark：Add MS 51045 Copyright：© The Society of Authors as the Literary Representative of the Estate of Virginia Woolf. You may not use the material for commercial purposes. Please credit the copyright holder when reusing this work. The Diary of Virginia Woolf: Volume II 1920–1924, ed. by Anne Olivier Bell and Andrew McNeiliee (London: Hogarth Press, 1978), p. 248 (entry for 19 June 1923). Virginia Woolf, ‘Mr Bennett and Mrs Brown’ (1924), in The Essays of Virginia Woolf, Vol. 3. 1919–1924, ed. by Andrew McNellie (New York: Harcourt Brace Jovanovich, 1988), pp. 420–36 (p. 422). The Diary of Virginia Woolf, p. 186 (entry for 26 July 1922). Banner illustration by Harriet Lee-Merrion.